On this date in 1941, as Nazi armies surged into the USSR, the Soviet NKVD summarily executed a reported 157 prisoners held in the soon-to-be-Nazi-occupied city of Oryol (Orel). Kameneva (top), Rakovsky (middle) and Spiridonova. 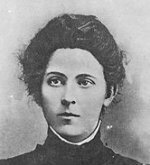 Olga Kameneva, a pol in the 1920’s, she was the sister of recently-murdered Communist heretic/Stalin gadfly Leon Trotsky, and she was the widow of executed Old Bolshevik Lev Kamenev. 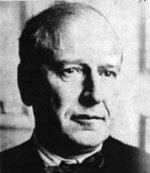 Christian Rakovsky, internationalist Bulgarian revolutionary turned Soviet diplomat. 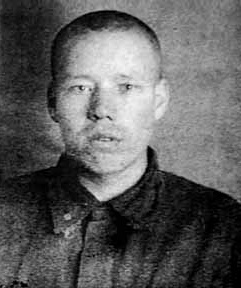 Rakovsky, Dmitry Pletnyov and Sergei Bessonov had been the only three to avoid execution at the Trial of the 21, one of Stalin’s red-letter purges. But all three were shot together this day. 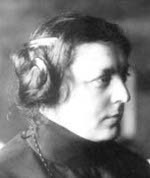 Prominent Left SR Maria Spiridonova, a revolutionary who had taken four decades of beatings from tsarist and Bolshevik alike, and who Emma Goldman saluted as “one of the most sincere, well-poised, and convincing” opponents of the Soviet regime. Many other political transgressors less memorable than these went along with them, leftover targets of opportunity from a generation’s internecine purges and counterpurges. Why bother to spend the resources evacuating an enemy of the people? By this time, Operation Barbarossa was nearly three months old, and mass prisoner executions ahead of the advancing Germans were a practiced art. One difference this day: this hecatomb was not in the western Soviet Republics, but in Russia proper. As many of them might have been denounced as “fascist” in their time for not hewing the correct revolutionary line, one doubts they would have enjoyed any more comfortable treatment at the hands of the Wehrmacht, which overran Oryol on Oct. 3. On this date in 1937, Japanese intellectual Teido Kunizaki was shot as a “spy of the Japanese army” in Moscow. The reader is not deceived to infer from the date and place the dread hand of Stalin’s NKVD at the height of the Soviet purges. The fate of the Soviet Union’s tiny community of Japanese emigres, one of the hidden chambers in a house of horrors, only became fully understood after the Soviet Union collapsed. 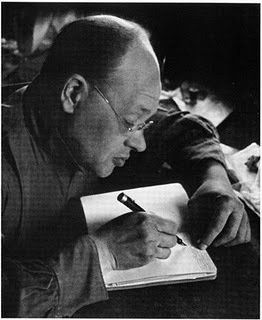 The leader of the Japanese section of the German Communist Party in Weimar Germany, Kunizaki’s opposition to Japanese intervention in China and involvement in a publication as subversively titled as Revolutionary Asians had made him unwelcome in Germany shortly before Hitler took power. But arriving in Russia in September 1932 with his German wife, he stepped into a struggle for power within the Japanese Communist Party’s Russian organs. According to Tetsuro Kato, the professorial Kunizaki was among those denounced by another seminal Japanese communist, Kenzo Yamamoto — a working-class activist who distrusted intellectuals. Kunizaki’s execution this day was only one of many wrought on the Japanese party by the Soviet secret police in the dangerous exchange of accusations and denunciations. On this date, Yamamoto himself was already in prison; early in 1939, he would swallow the same draught as Kunizaki — denounced, as it emerged after the Cold War, by yet another of Japan’s revered old Marxists. In the 1920s and 1930s, there were about 100 Japanese who dreamed of living in “the paradise of the working class” and went to the USSR. These people were mainly communists, who were oppressed by the imperial police in Japan. There were also ordinary workers, intellectuals and artists who were not communist … Almost all Japanese living in the USSR [in the 1930’s] faced the same destiny. 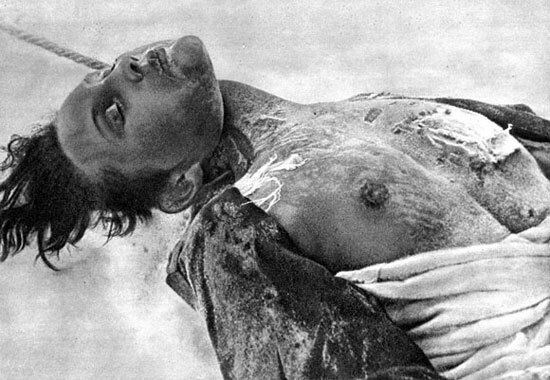 The exact number of victims is not yet known, but I now estimate there to have been about 80 Japanese [shot by the NKVD].